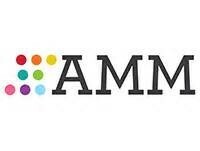 The Association of Midwest Museums has evolved over time to include new states and become the organization you know today. We continue to adapt to the changing needs of our members as they work to become strong anchors in their communities and provide informal learning experiences. 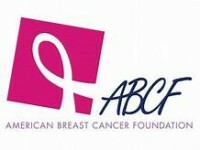 The American Breast Cancer Foundation (ABCF) mission is to provide education, access and financial assistance to aid in the early detection, treatment, and survival of breast cancer for underserved and uninsured individuals, regardless of age or gender. 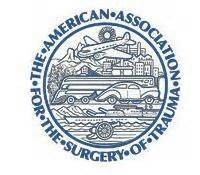 The mission of the American Association for the Surgery of Trauma (AAST) is to serve as the premier scholarly organization for surgeons dedicated to the field of trauma and the care of critically ill surgical patients. Second Sense is celebrating 70 years of service to adults with vision loss. Our staff is professionally trained and certified to provide the highest quality services. Mission : Second Sense inspires individuals to move beyond vision loss and believe in their abilities. Through client-centered support and training, they learn new skills, build confidence and realize their value in our community. Together we are changing society’s perception of human potential. The Chicago Lighthouse serves more than 67,000 people each year. As we look forward, we are committed to growing that impact by expanding critical programs, forging collaborative partnerships and creatively approaching the challenges our patients and clients face daily. Our nationally prominent low vision clinic has become a world-class example of comprehensive rehabilitation and demonstrates our evolving role as a pioneer in vision care innovation. 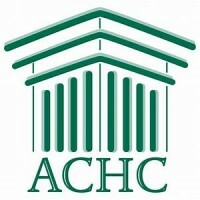 Accreditation Commission for Health Care (ACHC) is a nonprofit accreditation organization that has stood as a symbol of quality and excellence since 1986. ACHC has CMS Deeming Authority for Home Health, Hospice, and DMEPOS and a quality management system that is ISO 9001 certified. Food processing systems and machines from Hughes Equipment Company are engineered and manufactured to provide optimal performance. 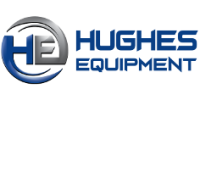 Hughes has a broad range of food processing machinery including: huskers, blanchers, cleaners, coolers, conveyors, cutters, fillers, meters, snippers , fresh market, and prepared foods equipment. R+D Custom Automation is a leading systems integrator and custom equipment builder. Through innovative engineering, design, precision manufacturing and controls programming; R+D Custom Automation has become the Midwest’s premier automation company delivering custom fixtures and prototypes to fully automated and integrated systems for the past 30+ years.